I had been hoping to ride behind one of the newly painted Metrolink engines. 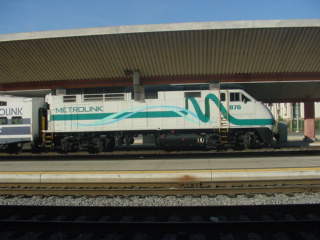 The day I did the 2,000,000.0 Kilometer Trip I spotted my first one at Los Angeles in the new Metrolink engine paint scheme. Now when would I be able to ride behind one. 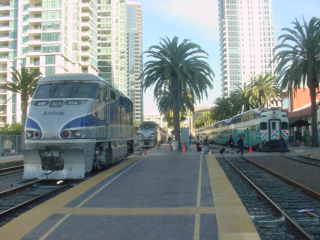 I saw another one but couldn't get a picture from Surfliner 582 on Monday 12/21/2009. 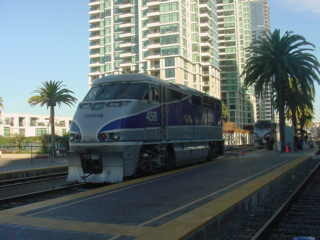 I boarded Surfliner 562 for an early morning train ride to San Diego. 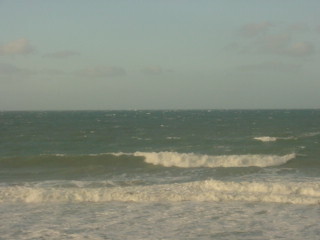 An angry sea as we rolled through San Clemente this morning. 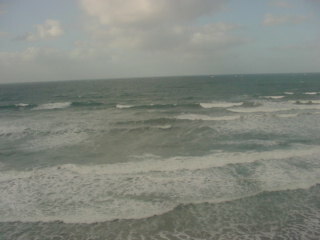 There wasn't a single surfer to be seen this morning heading to San Diego. San Diego now has a protection engine after all the Surfliner engine failures. A lack of Surfers on the return trip as well aboard Surfliner 769. 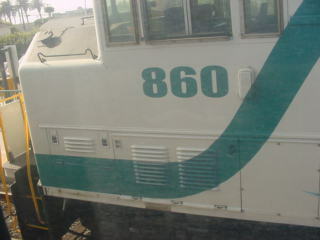 At Oceanside we came into the station with a Metrolink Train with Engine 860 right outside my window. 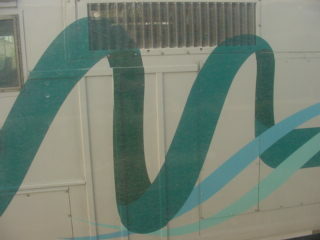 Three views of Metrolink 860 right outside my window. 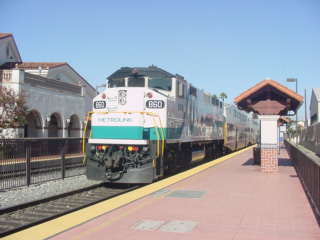 As we left Oceanside and knowing that train would be following us north I came up with a plan to ride behind it. When Surfliner 769 arrived into Santa Ana I detrained and headed straight to the Metrolink ticketing machine and bought a round trip ticket to Riverside. Next I waited for the slightly late running Metrolink Train 852 to arrive. 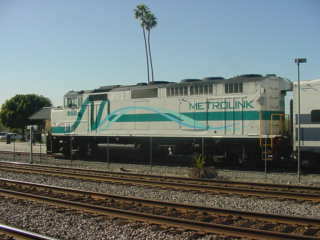 Metrolink 852 arrived into Santa Ana. 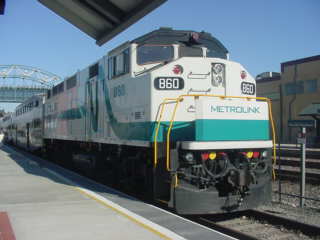 A view of Metrolink Engine 860 before I boarded the rear car for the trip to Riverside. At Riverside I detrained to take pictures of this engine. 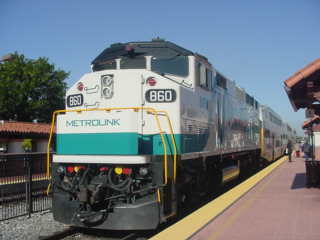 Metrolink 860 from the station side of the Riverside Platform. 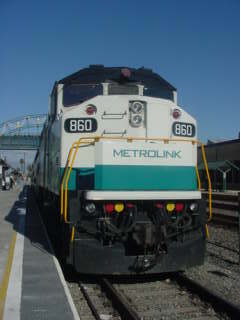 The front end of Metrolink 860. 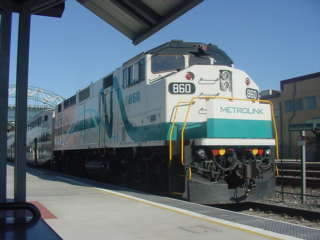 With plenty of time until my train back to Santa Ana I went to the east platform to catch some more views of Metrolink 860. 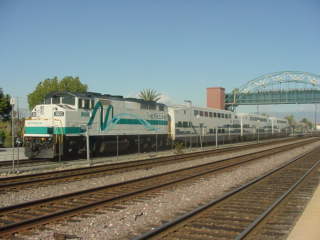 Metrolink Train 853 at Riverside waiting to leave for Oceanside. 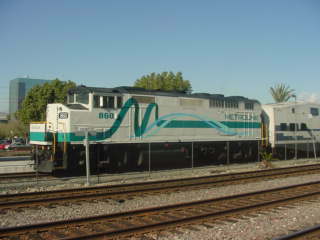 Metrolink Engine 860 at Riverside. I walked back across the bridge back to the station side with my train ready to board. 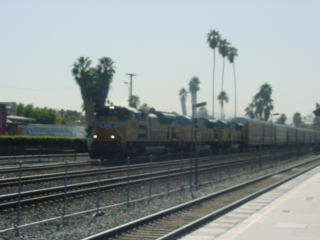 A Union Pacific eastbound auto rack train heads east through Riverside. 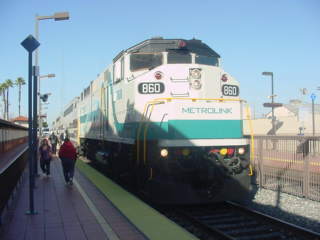 I boarded Metrolink 853 for Santa Ana on its way to Oceanside. 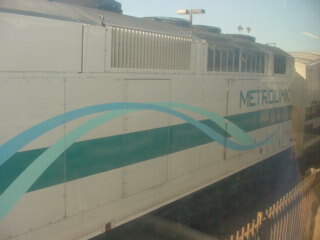 Metrolink Train that returned me to Santa Ana and that ended my day of train riding. Merry Christmas to everyone!